The George Washington Memorial Parkway is one of the first high speed roadways designed specifically for automobiles in the United States. It’s significant both as a transportation engineering breakthrough and beautiful piece of landscape architecture. 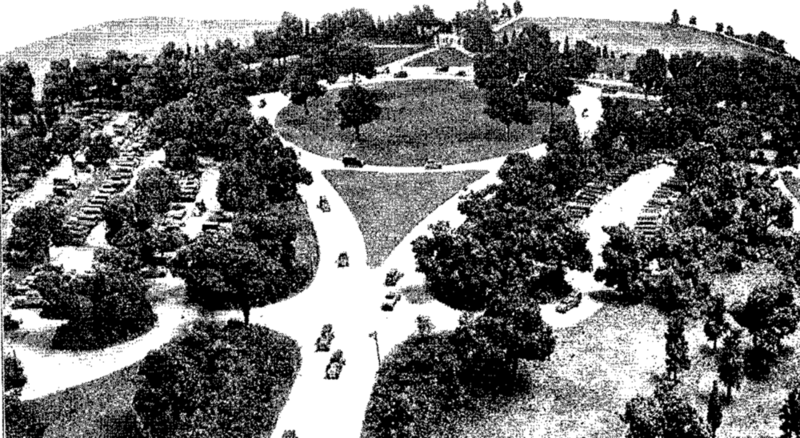 The initial stretch of the GW Parkway was built during the early 1930’s as a New Deal make-work project (that’s the same year the first sections of the German Autobahn opened, as it were). Automobile ownership in the United States had skyrocketed over the preceding two decades, and drivers were clamoring for better roads. The largest roads at this point were urban avenues, and they were designed with horses and pedestrians in mind. Outside the cities road conditions were almost medieval; if you wanted to cross the country in the 1930’s you did it on dirt roads and cow trails. The Washington Post noted in 1930 that the Parkway’s planned route “will pass through a rugged countryside, most of which remains in a state of virgin beauty." The GW Parkway was innovative in its status as a long distance, high speed, automobile-only roadway. It's designers pioneered many of the transit principles that we take for granted, like the highway median, the overpass, exit ramps, the safety flared intersections, and cloverleaf interchange. It was designed by the Bureau of Public Roads, a part of the Department of Agriculture (DOT was not established until 1966). They built large architectural models to demonstrate some of the new features and sent them to the Capitol Rotunda to spark the interest of Congressional appropriators. "A parkway is not intended to be just a road. Rather it is conceived as a linear strip of parklands encompassing a comprehensive spectrum of environmental and visual elements and principles, similar to the ingredients used by an artist to compose a good painting. Parkway designers use terrain, space, trees, shrubs, rock outcroppings, water features, natural edges, and the roadway itself as elements of their artistic palates and combine them in a highly skilled manner to create expansive pictorial compositions . . . It is meant for comfortable driving in pleasant surroundings, not merely for getting from one place to another "
One thinks of the interstate system as laser straight and devoid of scenery; parkways are the opposite. Their meandering curves are optimized for beauty instead of speed. The GW Parkway is enriched with oak, maple, poplar, beech, dogwood, hickory, walnut and sumock plantings. In some places the side railings are a rustic wooden design, and in others you see more elaborate rough cut stone walls that is characteristic of 1930's public architecture. The parkway’s route was deliberately laid out to maximize long distance views of the Potomac and Washington skyline. There are numerous planned vistas, and pull offs with parks and picnic areas so pleasure drivers could enjoy the space. Other than the proliferation of street signage in recent decades, the GW Parkway’s original aesthetic has been faithfully preserved into the present day.